High-security QuickBooks checks are printed with your business name and bank information – you can even add your logo for free! Everyday lower prices than Intuit®, Deluxe® or any other major supplier. Compare and save more today. Plus, we ship most checks within 48 hours!! 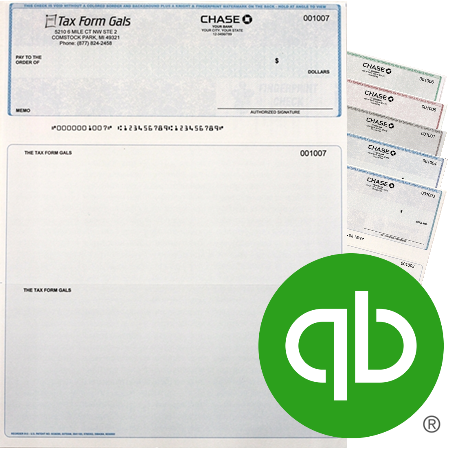 All checks are in the top position and perforated print perfectly from QuickBooks. Discounted business checks compatible with QuickBooks® software. QuickBooks checks with the highest security features, free logos and super fast shipping! You don’t need to spend a ton to get top-quality laser checks, fast. Compare and Save More! Compatibility with QuickBooks is guaranteed! 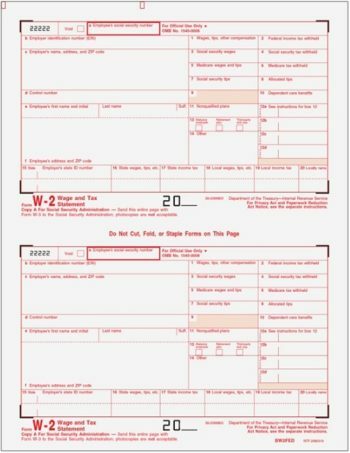 Why spend so much on checks when you can rely on Discount Tax Forms? 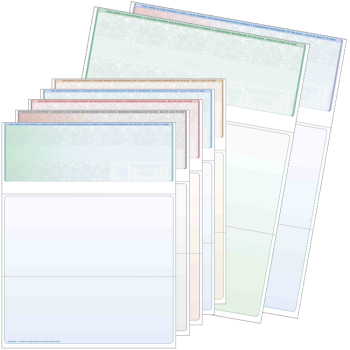 Simply upload a voided check and your logo, select a quantity and we’ll start processing your order immediately! Most checks ship within 48 hours!